It’s midnight. Officer Scott pulls his patrol car into the lot of a small, 24-hour convenience store. As he approaches, he peers through the decal-laden glass door to see a middle-aged man struggling to restrain an agitated 16-year old girl. The store owner had caught this young woman and her boyfriend stuffing items into a small handbag. 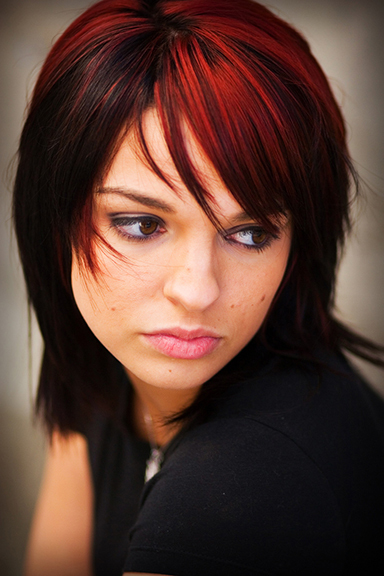 Her companion—a ‘white man in his late 20’s’—had bolted out the door without so much as a backward glance. Scott had seen this before. Some young teenager, looking for thrills, decides to pocket a few items from the local bodega and gets grabbed by the watchful owner. As he escorts the girl to his police car, Scott’s treated to an earful. She can’t stop going on about what a jerk he is, how he had violated her rights, and how much trouble she’d be in if he didn’t let her go right away. “Just wait until I call your parents,” he thinks. Not sure what to make of that outburst, Scott begins to sort through the items she had attempted to steal: a sleeve of Hostess Cup Cakes, a Red Bull, and a box of condoms. Angry and frustrated by this girl’s bad attitude and ignorance about that poor excuse for a boyfriend, Officer Scott escorts her to a holding cell and prepares to process her out. For most police officers, this scene is a familiar one—a young kid gets mixed up with the wrong person and finds him or herself on the wrong side of the law. In virtually every case, this would be the end of the story. The young girl would get a slap on the wrist and be released into her parents’ custody where they could, presumably, set her straight. And, at this point in our story, Officer Scott was prepared to do just that—to trust the overwhelming testimony of prior experience and process this girl out so that he could get on with his shift. As Officer Scott sits down to file his paperwork, he’s reminded of last Tuesday’s roll call. 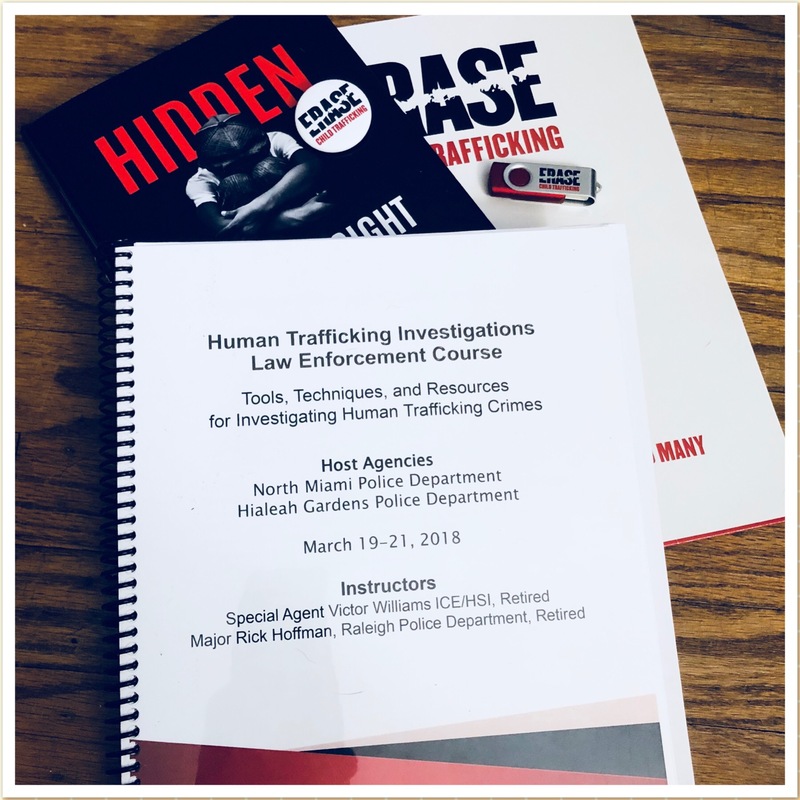 His Sergeant, having recently attended a training seminar on human trafficking, used that day to teach his officers how to identify potential trafficking situations. The Fear — Sure, a kid’s going to be afraid of the consequences. But, this girl seems to fear for her physical safety. She’s acting like there’s something worse waiting for her than an angry mom and dad at home. The Stolen Merchandise – Why did she need a Red Bull and a pack of condoms? Scott recalled that traffickers use starvation to control their victims. Usually, their only choice is to steal the bare necessities. The Boyfriend – Per the owner’s description, this guy was at least 10 years older than she. What were they doing there together in the first place? With these things in mind, Scott calmly invites the young lady out of holding and brings her to a quieter part of the station, away from prying eyes and menacing glances. They start to chat. This time, he speaks less like a cop and more like a friend. Clearly, she hasn’t had anything to eat for quite a while. Moments later, a female officer appears with a bag from McDonald’s. The three make their way to a private lounge. As they talk, the girl lets her guard down. Scott listens as she describes her broken home life, struggles with friends at school, and her constant search for belonging. All the while, her phone continues to buzz. He really is a great guy, she explains. He’s been there for her when her parents weren’t. He shows her the affection and attention she needs. She feels protected. He loves her……only, sometimes he makes her do things—things she would ordinarily never do. Having earned at least a glimmer of trust, Scott asks if she would slide her phone over. Reluctantly, she does, and he begins to scroll through the text messages. Wisely, Scott checks his emotions before he begins to read. It doesn’t take him long to realize these are not the supportive words of a loving boyfriend. No, they’re the verbal assaults of a degenerate thug bent on belittling her into submission. Scott does his best to hide his disgust as he reads about threatened consequences for ‘missed quotas.’ Horrified, he sees insults that no human being should ever have to endure, capped off by threats against her little sister for talking to the cops. Officer Scott thanks the young woman for her trust and politely excuses himself to make a call. He can read the writing on the wall: this girl is clearly a victim of trafficking. She needs someone with much more experience than he to help regain her freedom. He picks up the phone, dials his Sergeant, and together, they get to work. This story, though generalized in some ways, is rooted in the accounts we hear from police officers every day. The first part of the story is common enough. But, what about the second when, in Scott’s eyes, the girl goes from ‘shoplifter’ to ‘trafficking victim’? So, how do we get from A to B? How do we help police officers learn to look at each ‘punk kid’ as a potential victim, to ask deeper questions, and find the real story lying beneath the surface? Just as in Officer Scott’s story, that turning point comes when an officer recognizes the signs, trusts his or her gut, and decides to unravel that thread. It all starts with that one officer—a soldier on the front lines of the underground battle to set captives free. 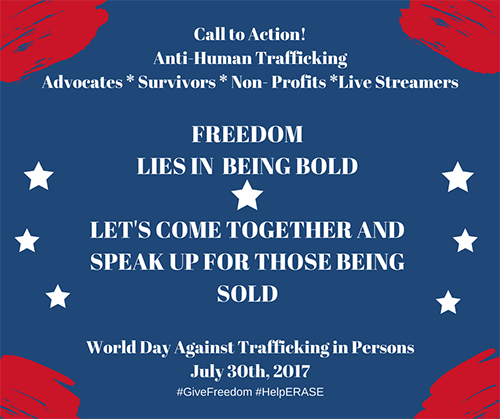 This can only happen when officials at every level of law enforcement learn to detect the signs and receive the tools they need to bring trafficking victims out of the cruel darkness and into the liberating light of day. At ERASE, one of the most impactful things we do is train police departments so that they produce more officers like the one in this story. It’s our mission to educate officers to detect the warning signs, identify potential victims, and safely lead them to freedom. Your donations make this possible.